Garden Grove Brakes & ABS - Morrison Tire Inc.
Any dash warning light such as ABS, etc. If your car has these issues, please contact us to schedule an appointment today. Our ASE certified brake experts have the ability to perform pad replacement, overhauls, and hydraulic component replacement. Morrison Tire Inc. can also diagnose any brake warning messages that appear on your dash, including ABS lights. If an ABS light (short for Anti-lock Brake System) light comes on, it may be an indication that your vehicle will not perform correctly in a panic stop. Should an ABS light illuminate on your vehicles dashboard, we recommend getting your vehicles ABS system inspected immediately. Proper brake inspections at regular intervals helps aid to the safety of your vehicle and prevent costly repairs in the future. Morrison Tire recommends keeping up on maintenance services such as brake fluid exchanges, rotor refinishing, and cleaning & adjusting your brakes to ensure your vehicle is ready for the road ahead. 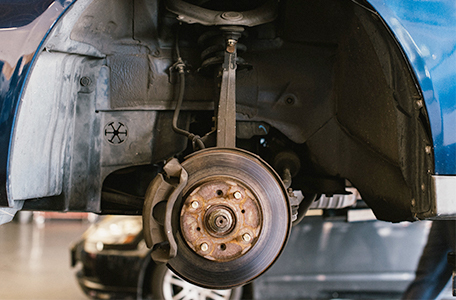 Stop in today and allow Morrison Tire and technicians will inspect your braking system, including a thorough road test for any issues, and a comprehensive evaluate your brake system for function and wear remaining.